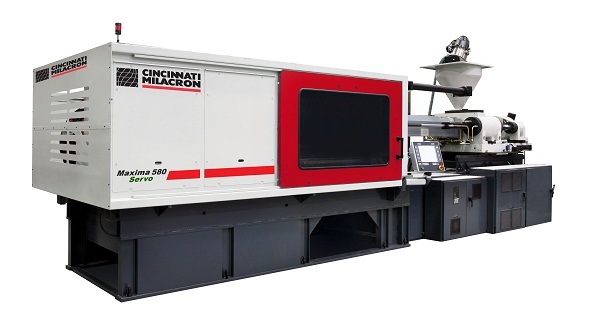 Batavia, Ohio – Milacron Plastics Technologies, a U.S.-based, worldwide supplier of plastics-processing technologies, recently expanded the production of its Magna Servo injection molding machines from India to include the United States. The company will display this technology at its NPE Booth (West Hall, #2803) at the Orange County Convention Center in Orlando, Fla., April 1-5, 2012. The Magna Servo machines were developed by Ferromatik Milacron India, Milacron’s Indian affiliate, and have been in production there since 2008. The company has been importing these machines since 2009, and due to increased domestic demand, management has decided to also build these machines at its Batavia, Ohio manufacturing facility. Milacron management anticipates adding jobs at the plant to meet the expanded production needs. The Magna Servo achieves higher energy efficiency than a traditional hydraulic machine by using a variable-speed AC servo motor to drive a fixed-volume gear pump. The machine’s servo motor allows the pump to deliver only as much oil as is necessary for each stage of the process. The servo motor also can reverse the direction of pumping to reduce pressure, if necessary. If no additional flow is required, the pump will stop. As a result, the system requires less energy for oil cooling and ejects less heat into the plant. These energy efficiency improvements create cost savings that can make up for the higher cost of the Magna Servo (relative to a comparable hydraulic machine) in as few as six months. Because the servo motors are highly dynamic and low in inertia, Magna Servo machines provide nearly the same control and repeatability as all-electrics, contributing to faster start-ups than with conventional hydraulic machines. Magna Servo machines also operate nearly as quietly as all-electrics. Milacron offers Magna Servo machines in sizes ranging from 55 to 400 tons. The Magna Servo line will complement Milacron’s recently introduced Maxima Servo hydraulic line, which is also being produced in the United States. Both will be on display at this year’s NPE 2012 at the Milacron booth, West Hall #2803.